I hope you will enjoy learning about these apps and using them in your classroom! I love, love Endless Reader by Orginator. This app is free but you can purchase more word packs if you want to extend it. I purchased the Reader Pack 1 because I wanted more words. 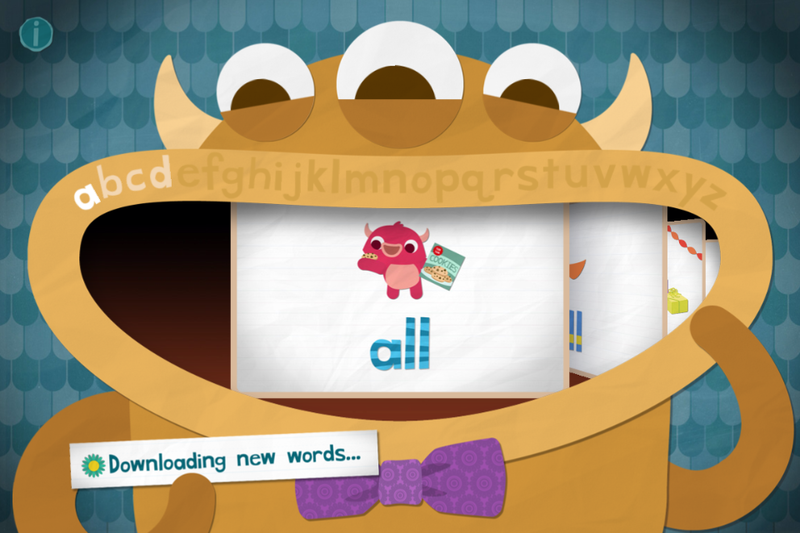 There are six words in the free version but this app explores each word through spelling, word meaning and sentences. 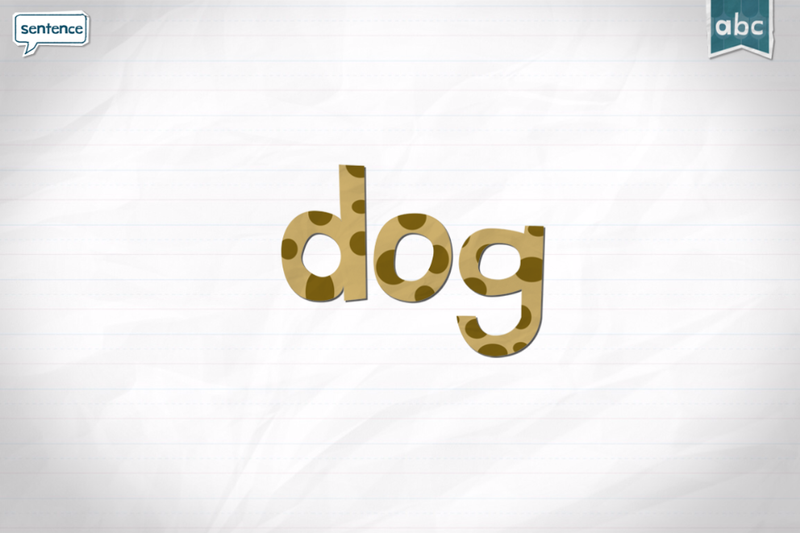 The words are animated after the letters are dragged into place. The app also reads the sentences. Words can be dragged into the sentences. The little characters are irresistible. These are screen shots I took using my iphone. The app works on iphones and ipads. You can get Endless Reader here. 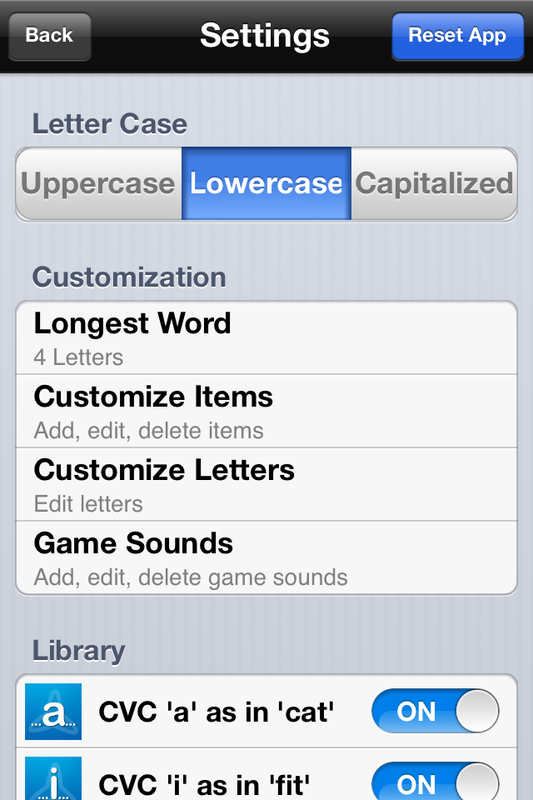 Another app I really like is Little Speller by Grasshopper Apps. 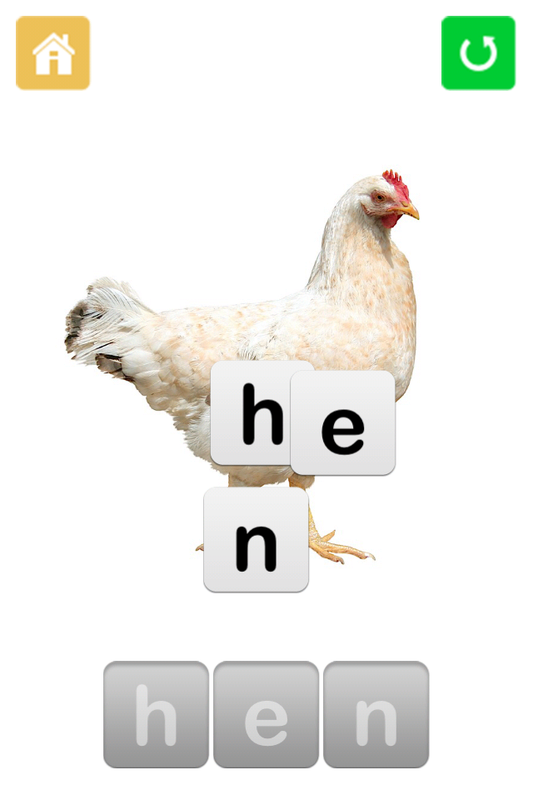 This app is very versatile and allows you a lot of control of the words that the children can work with. This app is also available for the iphone and ipad. As you can see from the screen shots I’m sharing with you there are a lot of variations to choose from. You can really concentrate on the sounds you think the children need. This app features great images for words. 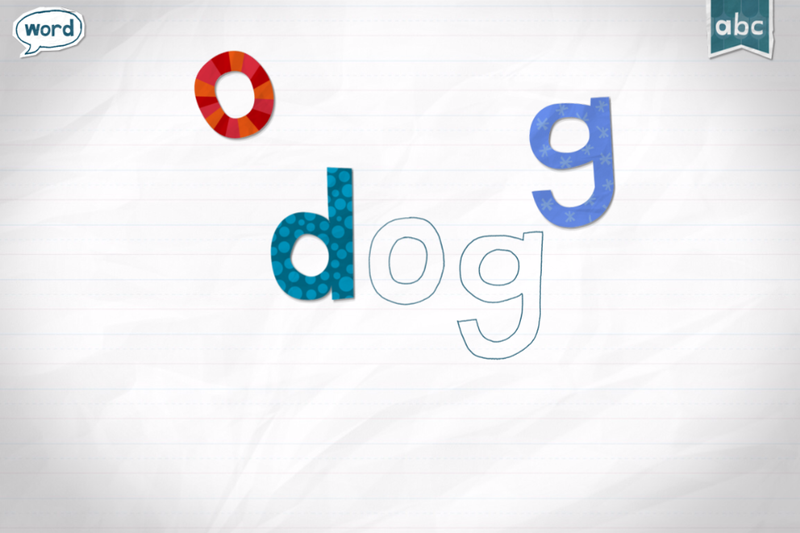 The letters are out of order but the correct spelling is under the images so even your most hesitant spellers and readers can feel confident with this app. The app says the letters and then reads the word after the letters are in place. You can get Little Speller here.I hope you can use one of these apps or both in your classroom. 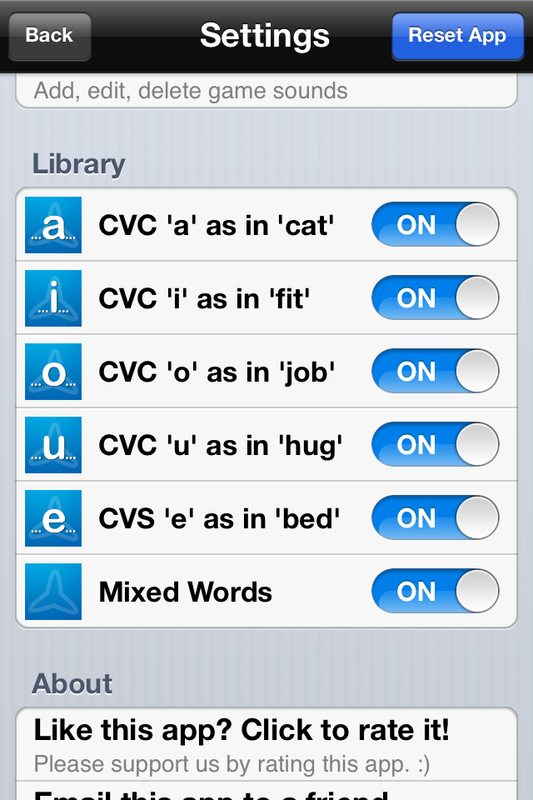 I always teach the apps before letting the kids do them without supervision. Sometimes I teach them as part of my guided reading lesson and other times I work with a group during a Daily Five Rotation. I am teaching both Kinders and First Graders this year and my smart Firsties are great teachers so they often get the first lesson on a new app! Grab this winter freebie this if you like! Penguin Fun Dice Roll and Cover Game. Posted on November 27, 2013 by Sarah Winchell •	This entry was posted in Apps in the Classroom, Classroom Printables, Ed Tech, Educational Success, Literacy, Reading Strategies and tagged edtech, educational apps, reading, reading strategies, Spelling, technology. Bookmark the permalink. Thanks for letting me know. I just fixed it. I truly appreciate the heads up. Thanks to @igamemom for sharing this great idea! See the comment below to learn how do this. Classroom Pets Dash’s Big Day Out!